The decision to use DNA matching to speed reunions left questions about how carefully the Department of Homeland Security and HHS planned for the separation of parents and children. Advocates have complained for weeks that they have been unable to use the DHS computer system to locate children and parents and there have been multiple reports of parents who do not know where their children are being held or who have ben deported without their children. Jonathan White, a commander in the US Public Health Service and the assistant secretary for preparedness and response at HHS, said the DNA will be collected via cheek swab by a contractor and will only be used for the purposes of linking up kids with their parents. During the call, HHS officials said the department had fewer than 3,000 children in its custody who’d been separated from their parents, but did not give specific numbers. Advocates have complained for weeks that they have been unable to use the DHS telephone and computer systems to locate children and parents. There have also been multiple reports of parents who do not know where their children are being held or who have been deported without their children. HHS and DHS have declined to offer precise numbers of the number of children US officials have separated from their parents. The officials said the department is holding 100 children under age 5 who’ve been separated from their families – and who must be reunited with their parents by Tuesday. Azar said the Trump administration is working to transfer children from HHS shelters to join their detained parents in U.S. Immigration and Customs Enforcement facilities, a step that will probably infuriate lawyers who say the migrants should be freed to pursue asylum claims, as the government has done in the past. 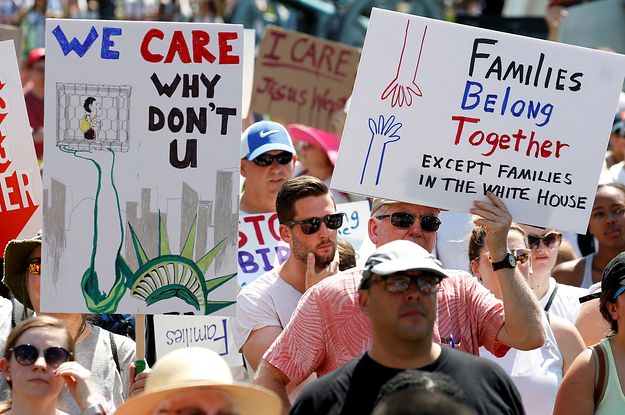 In his ruling last week, U.S. District Judge Dana M. Sabraw ordered the Trump administration to return children to their parents by July 26, though children under age 5 must be reunited by Tuesday night. Two House Oversight Committee leaders pressed key Trump Cabinet officials for a detailed accounting of the thousands of children separated from their parents since the administration began in May to prosecute every illegal border crossing. “Like many Americans, we want to ensure that we can reunite children who have been separated from their families as expeditiously as possible,” wrote Rep. Mark Meadows and Rep. Elijah E. Cummings, the committee’s ranking Democrat. A 1997 federal consent decree generally prohibits the government from detaining migrant children longer than 20 days, which prompted officials to release entire families in the past. “We’ve got a court order that requires at DHS after 20 days that you break families apart, that you separate children from families in ICE custody and send them to us. That’s one side,” Azar said.